In fact, brand purists wouldn't consider this a "real" BMW. There’ve literally been countless occasions when some car we want to see sold in the US ends up being for Europe only. While that trend still continues, another one appears to be getting underway. BMW has just revealed its new China-only 1 Series sedan. Heck, it’s even built in China, in the northeastern city of Shenyang, to be exact. The German automaker claims its new sedan was designed specifically for the Chinese market, which makes sense because the Chinese love sedans (and knockoffs) in general, as opposed to, say, hatchbacks. 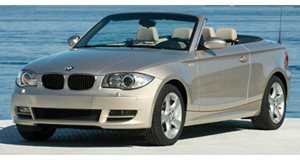 What we can confirm is that, despite the same name, the 1 Series sedan is completely unrelated to the previous generation 1 Series coupe and convertible sold in the US a few years ago. Unlike that retired model, the new 1 Series sedan is front-wheel-drive only, and can be had with a choice of three turbocharged engines, paired to either 8-speed or six-speed automatics. 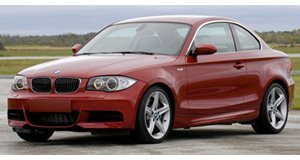 The most powerful engine, for the 125i, is a turbo 2.0-liter four-cylinder with 228 hp and 258 lb-ft of torque, which will get owners from 0-62 mph in 6.8 seconds. The mid-range option is the 120i, and also has a turbo 2.0-liter, but this time makes 189 hp and 207 lb-ft of twist, managing a 7.5-second 0-62 mph sprint. Those are the 8-speed-equipped engines, while the 118i has a turbo 1.5-liter three-cylinder mated to the 6-speed, delivering a 9.4 second 0-62 time. Chinese buyers also love technology, and BMW packed in its Driving Assistant with collision warning, automatic braking, and park assist. There’s also BMW Connected apps. So why is BMW suddenly catering so directly to China with a compact premium sedan? Because the Audi A3 and Mercedes-Benz CLA-Class are both strong sellers here. And no, BMW has no plans to bring the 1 Series sedan stateside.